Kickboxing is a strenuous sport, but it the diet it requires isn't much different from other sports of a similarly intense nature. There is no specific food that will work best for every athlete. Rather, a healthy kickboxing diet is about finding the right balance of macronutrients and calorie intake, based on the physical toll of the activity. The average kickboxing class will last about 90 minutes, consisting of a warm-up, technique and bag work, followed by sparring. A kickboxing bout lasts nine minutes. This means that kickboxing is an anaerobic activity, made up of short bursts of intense activity followed by short rest periods. It's an important distinction, because anaerobic activity requires far fewer carbohydrates and more protein than aerobic activity. 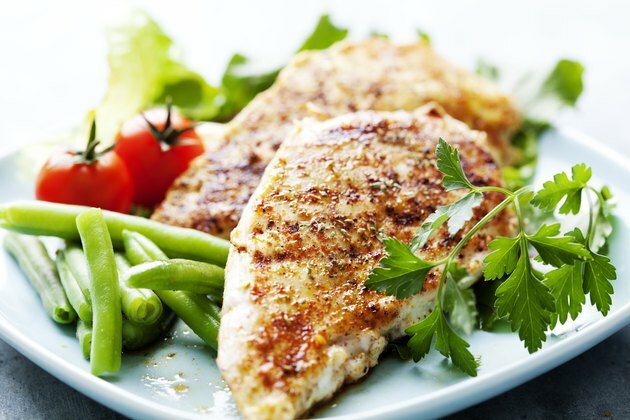 Your diet should aim to increase muscle power as opposed to loading up on carbohydrates like a marathoner. 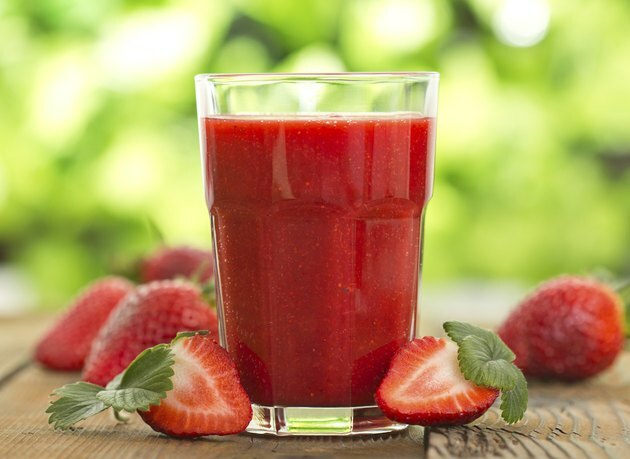 Your diet fuels your kickboxing performance. Two factors play a significant role in whether or not your eating habits are adequate: caloric intake and macronutrient breakdown. You need to eat enough calories to burn as energy and recover between workouts, while keeping them low enough to shed body fat. 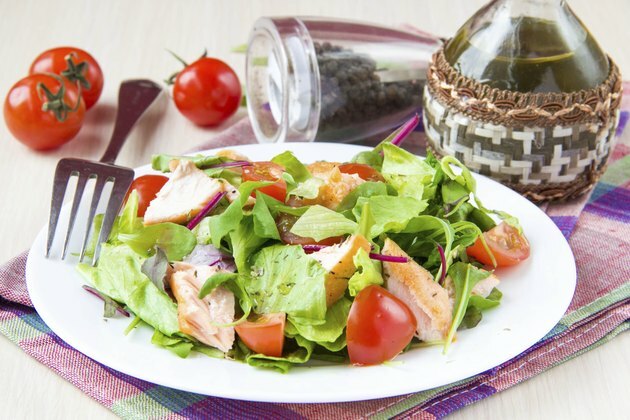 Finding the right balance of protein, fats, and carbohydrates is also essential. Skimp on the wrong macronutrient, and you'll find yourself sore and fatigued, notes Niamh Griffin in an article for the World Muaythai Council website. There is no magic food for kickboxing. Success comes from a complete diet. Your carbohydrates should be complex, as opposed to refined products, like sugar and white bread. Protein should come from natural sources as much as possible. If you can't get enough protein from lean meats, consider supplementing your protein intake with whey powder shakes. Look for nuts rich in monounsaturated fats, and sources of omega-3 fatty acids, such as fish and grass-fed meats. The most important meal for a kickboxer is the one right after the workout. It's best to eat real food, but if you can't cook something up quickly, try a protein shake to hold you over until you can. 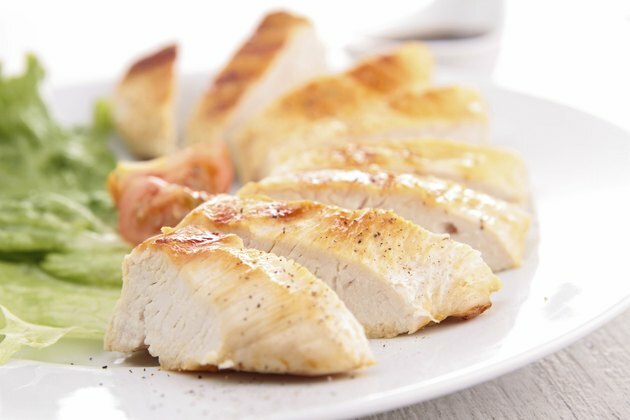 Make sure your meal is full of protein and lean on fat. Right after your workout is when your body is most primed for protein uptake, and fats slow down the absorption, according to "The Essentials of Strength Training and Conditioning." Train on an empty stomach or a light meal. Never gorge yourself before a class. Ultimately, you have to listen to your body. If you're sore, you need more protein. If you're constantly tired, add some carbohydrates. Your calorie intake for fat burning should be slightly less than you use. Too little, and you'll have no energy. Too much, and you'll gain weight. Your ideal diet will be different from that of the person standing next to you, so don't be afraid to experiment to find your optimal settings. 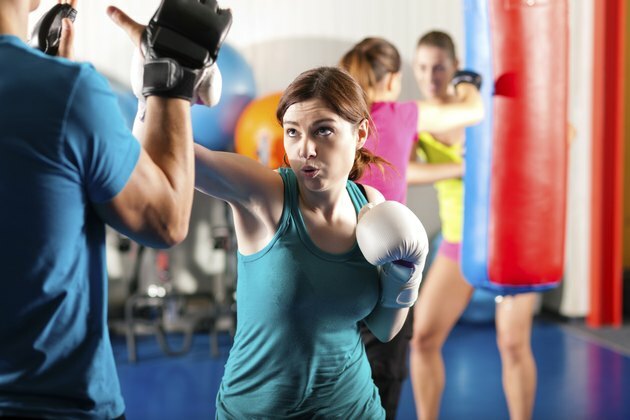 Can Kick Boxing Help You Gain Weight?